Itel has released a smartphone called Itel A22 after it released Itel A62. The A22 smartphone was officially released on August 22 in India. It is an Android Go edition budget device for those who wouldn’t spend much on a handset, yet want a pleasant experience. The first catchy thing about the Itel A22 is the Qualcomm chipset which is at its core. 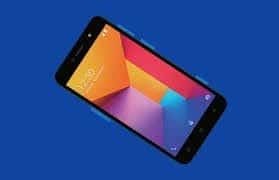 It is currently competing with other devices such as Lava Z61 and Nokia 1. Itel A22 features a 5-inch FWVGA bright screen with 196 pixels per inch. It has an aspect ratio of 16:9, and it measures 145 x 73. 4 x 9.35mm. The top bezel houses the selfie camera, the speaker, and the LED flash. The display type is TFT, and the screen resolution is 480 x 854 pixels. The navigation buttons sit at the bottom of the phone’s bezel. The phone comes with a fingerprint sensor, scanner, and once you see the phone, you will know that it is designed for those with minimalist-style protection. Furthermore, the device has a thickness of 9.35 mm, while it is 73.4 mm wide. When you take a look at the height of the phone, it is about 145 mm. Itel A22 has various colors such as space grey, Champagne gold, and midnight black. The device is powered with multi-touch capability and capacitive touchscreen. The Itel A22 is equipped with Bluetooth, Wi-Fi 802.11 b/g/n, FM radio, and a 3.5mm headphone jack. Mobile hotspot is also enabled herein. The supports two SIM, but only SIM 1 handles 4G VoLTE, ViLTE, and 3G networks. SIM two only handles the 2G network. Itel A22 runs on A-GPS. The USB connectivity offers mass storage. You can also use the USB charging support, loading and offloading content through it on and off your laptop. It integrates easily. In the camera department, the Itel A22 sports a 5 MP primary camera with fixed and autofocus. There is also a front-facing camera which has no flash. In the camera department, the itel A22 sports a 5-megapixel primary camera snapper with auto-focus and LED flash, and its front camera is a 2-megapixel shooter with soft flash. The 4G VoLTE handset is fueled by a 2,400mAh Li-Ion battery. Itel A22 is powered by Qualcomm’s Snapdragon 210 MSM8909. It also has Adreno 304 for graphics. Quadcore processor 1.3 GHz, Cortex A7 chipset is supported by 1GB of RAM. The device has no fingerprint sensor but has an accelerometer sensor. Internal memory is a simple 8GB which can be increased to 32GB. It has no USB OTG support. The device runs on Android Oreo Go edition. 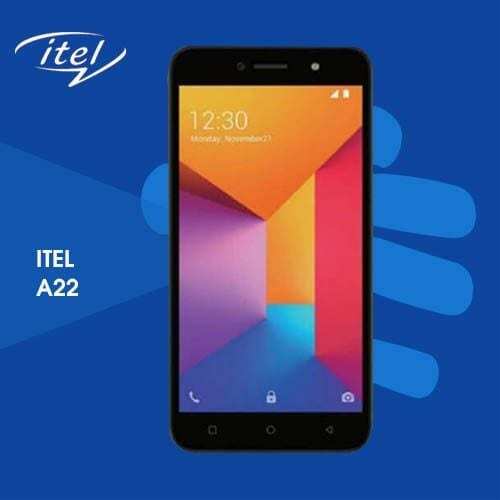 Itel A22 was officially released into the market on August 22, 2018. However, the device was announced mid-July, and in the middle of August 2018, it was spotted in some retail stores. Itel A22 selling price is Rs.4,599, which is about $70. Not bad at all, since the mobile phone is targeted at youths; teenagers who are just looking for a smartphone to go by. Surely, Itel A22 will serve them well since it arrived with several Google apps that are designed to work with entry-level configuration.